11,315 Days - Nekaro & Co. 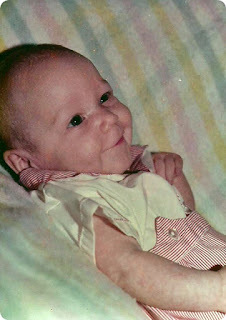 This sweet bay-bay is me just a few months old in 1979. That's how many days I've been on this great Earth. Today is my 31st birthday! 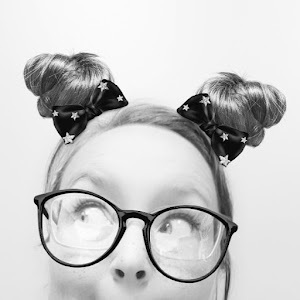 Last year at this time, I was slowly rocking in the corner while muttering to myself that I could not possibly be thirty years old. This year is a little bit different. So much has happened and things are going well. 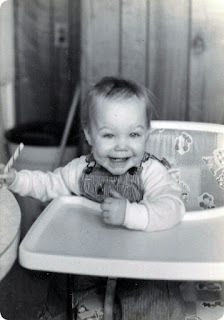 One year old me in 1980. I've very grateful for the opportunities that I've been given. We are once again living in a place that feels like home. Both of my children are far from perfect, but do wonderfully in school and teach me to count to ten several times a day. I have the best husband in the world. He is a saint and I'm so thankful to have him in my life. The same goes for the greatest friend in the world. We've been through it all; either together or separately, but we've been there. Life has been a journey and I can't wait to see what the Universe has written for the next 31 years. 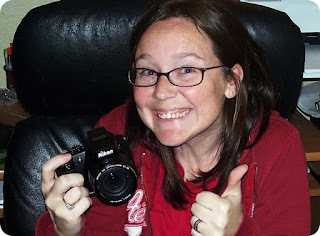 Brand new camera = really excited me!